Renningen, Germany – Studies indicate that milk is one of the most-consumed foods. In Germany alone, per capita consumption of fresh milk products stands at 90 kilograms a year. The new Bosch Deepfield Connect milk monitoring system provides quality-assurance support for milk producers and dairies. The road from the cow to consumers is a long one: milk is stored in tanks for up to three days before it makes its way to the refrigerator aisle or is processed further. This involves considerable risks. Germs and sour milk can negatively impact farmers’ yields. “The milk tank features multiple openings that are sealed with rubber caps. We are equipping these rubber caps with an infrared sensor and gathering measured data,” says Thijs Verploegen, the product manager in charge of the system. 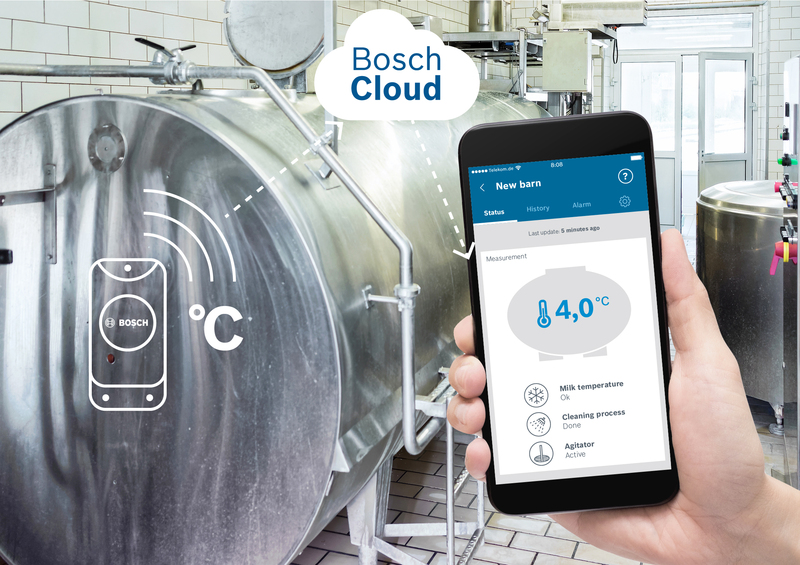 The data is sent to the Bosch IoT Cloud, where it is processed and transmitted directly to the milk producer’s smartphone. The sensor measures milk temperature. Among other things, this makes it possible to determine whether the milk is properly stored. A defective agitator means that milk will no longer be evenly cooled. “It is crucial that the agitator, cleaning, and cooling work properly and that the milk does not get any warmer than 4 degrees Celsius for several hours at a time,” Verploegen explains. “If it did, the number of germs would increase, and the milk would be unfit for consumption.” An app alarms farmers when the cooling breaks down, allowing them to act in good time before the milk becomes sour. The data can be shared with dairies and tanker drivers, helping them see at a glance whether the quality of the milk is acceptable. The milk monitoring system also offers an additional advantage: it can be installed in any milk tank – regardless of the model, manufacturer, or age of the tank. This makes it possible to retrofit the latest technology to older milk tanks at low cost. The new sensor solution is a good fit for the Deepfield Connect product family. 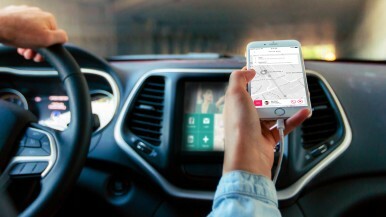 It provides connected solutions for Agriculture 4.0. The basic principle can be used for a wide range of agricultural produce. 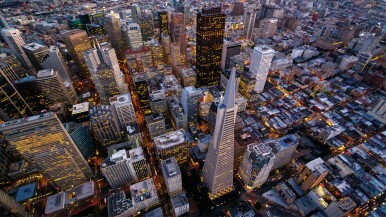 It is based on sensors that measure microclimatic data such as temperature and the humidity of the air and soil. 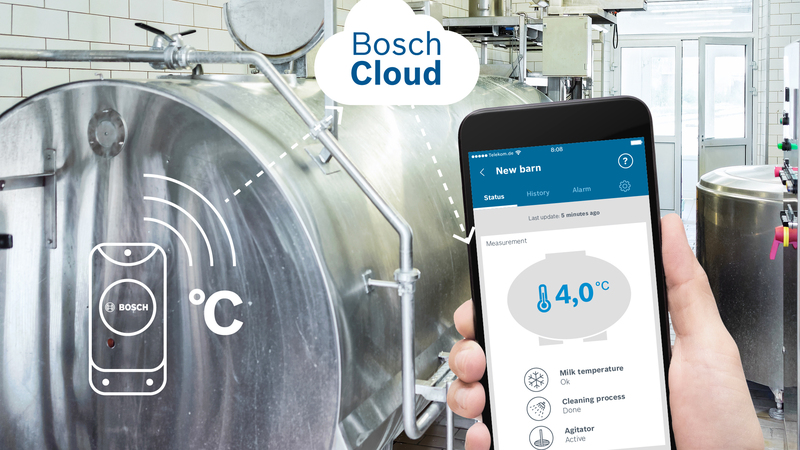 Using a transmitter, the readings are sent via radio to the Bosch IoT Cloud. From there, the information is routed to the Deepfield Connect app on growers’ smartphones, allowing them to keep an eye on their crops at all times, without having to be in the field. For example, this lets growers know that frost is likely even before temperatures fall below freezing and gives them a chance to cover plants or take other appropriate measures. The record of temperature and humidity readings lets them know whether everything is alright, whether there is a risk of fungal infection, or if irrigation needs to be adjusted, saving growers time and increasing their yields. This year, it also became possible to use the system for additional fruit and vegetable varieties as well as wine-growing, in addition to asparagus and strawberries. The connected sensor system for milk monitoring will be presented to the public for the first time at Agritechnica, the world’s largest trade fair for agricultural equipment, from November 12 to 18, 2017, in Hannover, Germany. Market launch is scheduled for summer 2019. 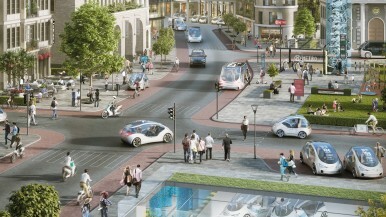 More information about the Bosch Deepfield start-up is available here. 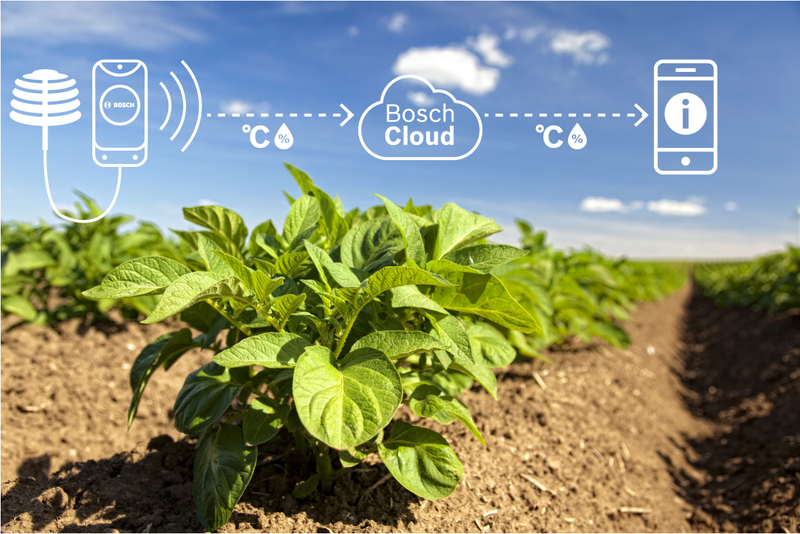 More information about Bosch solutions for agriculture is available here.